What Can Aspen Teach Us About Collaboration? - Innolect, Inc. | Innolect, Inc.
What Can Aspen Teach Us About Collaboration? Did you know that aspen trees in Trembling Giant grove in Utah are the oldest living organism in the world—over 80,000 years old? You might ask, “how is that possible?” Our answer is twofold: Collaboration and Support. 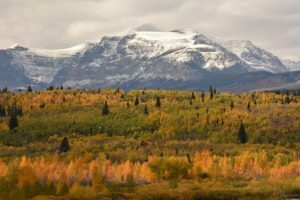 During a trip to Glacier National Park, with aspen in their full autumnal glory, we marveled at the trees’ inimitable approach to reproduction and survival. According to the USDA Forest Service website, “Aspen is noted for its ability to regenerate by shoots and suckers arising along its long lateral roots. Root sprouting results in many genetically identical trees, in aggregate, called a ‘clone.’ All the trees in a clone have identical characteristics and share a root structure.” Admiring how these trees thrive through the elements, forest fires and disease, we learned two lessons about Aspens’ resilience important to leaders and teams. The aspen tree connects to every other aspen tree in its vicinity through a robust networked root system—some over 40 feet away. When a trunk begins to die above ground, other trees in the colony send out shoots that become new, stronger trees in the grove. Lesson: Teams need a strong foundation for collaboration and networking among members. Collective strength and resiliency will develop among team members who are diverse and uniquely connected. 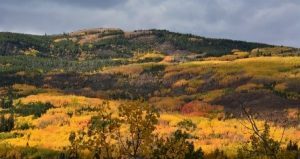 In fact, an organization’s vision, mission and values provide the equivalent of the aspens’ shared “root structure.” This foundation helps individual members work together as they embrace corporate values to overcome organization stressors and challenges. Because aspen thrive at 5,000 to 12,000 feet, most think they are strong and robust by themselves. Yet, arborists describe aspen as weak trees that split easily and are prone to disease. These white-barked trees wear scars clearly noticeable as black marks—that are part of what make the aspen so beautiful in a grove. The way the grove stands strong is through a root system of support and shared resources. What one tree lacks (water, nutrients, etc. ), other trees in the grove provide. Lesson: A leader’s role is to notice what is going on within his or her team and to offer support. High-performance teams face conflict and bruised relationships. Yet, with effective leadership, team relationships are restored and their “root system” is strengthened as team members move toward shared goals and offer their unique talents/skills to complement what coworkers may lack. Organizations who survive are ones with strong teams and networks like aspen groves. We encourage you to lead with purpose, strive to make your vision a reality and reinforce your values. Build team collaboration and support and include behavioral examples of what organizational values look like when practiced on the job. If you need help, our team is ready to support your efforts. Download our Collaboration Checklist outlining behaviors that help improve levels of trust and collaboration.